The Calvert Marine Museum is hosting the Kalmar Nyckel, The Tall Ship of Delaware, on June 22 – 24 in Solomons, Maryland. This queen of the tall ship fleet will offer public sails and tours. The Kalmar Nyckel is an authentic re-creation of a 17th century Dutch built vessel, one of America’s pioneering “Tall Ships” that brought some of the earliest permanent settlers to the colonies. The ship’s historical accuracy reflects the sailing methodology of the early 1600’s, which passengers can experience for themselves. The ship has 8 sails, 8 miles of rigging, and a crew of dedicated volunteer sailors to make the trip exciting for all. The original Kalmar Nyckel sailed from Sweden to the New World in 1638, leaving her passengers to establish the first permanent European settlement in the Delaware Valley, at Fort Christina in present-day Wilmington, Delaware. Because of her historical accuracy, Kalmar Nyckel was featured last year in National Geographic Television’s “Return of the Ghost Ship,” which aired in 124 countries around the world. This documentary explored a “ghost ship” from the 1630’s found intact at the bottom of the Baltic Sea. 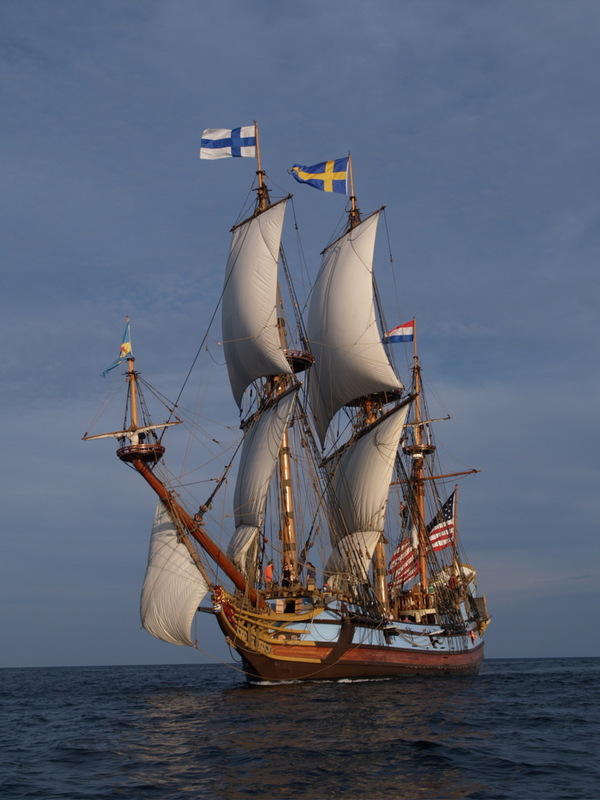 The Kalmar Nyckel will dock at Watermen’s Wharf, Solomons, located next to the Chesapeake Biological Lab Visitors Center and will offer pirate sails on Friday and Saturday from 10:00 a.m. – 12:30 p.m. and sunset sails from 5:00 – 7:30 p.m. On Sunday, Kalmar Nyckel will host free ship tours open to the public from 10:00 a.m. – 1:00 p.m. and a pirate sail from 3:00 – 5:30 p.m. All sails are $60 for adults and $40 for ages 17 and younger. For tickets and more information, please contact the Kalmar Nyckel Foundation office at (302) 429-7447 (toll free at 866-659-7447) or http://www.kalmarnyckel.org. Categories: Maryland, Solomons | Tags: Calvert Marine Museum, Kalmar Nykel, Maryland, Solomons | Permalink.